This year we'll be screening Burn to Shine: DC and more, followed by post-film discussion with Director/Editor Christoph Green, DC music veteran (and participant in the film) Ian Svenonious and Georgetown faculty Ben Harbert and Bernie Cook. Christoph Green and Brendan Canty's Burn to Shine film series presents an intimate and unvarnished look at a local music scene...topped off with a conflagration. Presented by the Georgetown University Film and Media Studies Program. This screening is FREE and open to the public, so bring your friends! The movie will be screened in the auditorium in the Bunn Intercultural Center (ICC), location 27 on the campus map (pdf)). Due to construction on campus, the best way to access the auditorium is to enter the ICC through the entrance on Red Square (location 28 on the campus map) and then head to the back of the building. 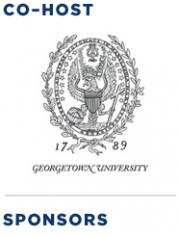 See the Getting There page for directions to the Georgetown campus. It’s a short walk from the Clarendon Metro stop (orange line), just off Wilson Blvd. NOTE: The restaurant will not issue individual checks, so please bring cash with you to pay your portion of your table's tab. Join us for a local music showcase at IOTA Club & Café featuring artists from the surrounding DC/VA/MD communities. Performers will be: PHZ Sicks, Margot MacDonald, Paul Pfau and the Dimestore Band and The Silver Liners. There's a $5 suggested donation to attend this evening event, so come on by for a night of music and networking! IOTA is also a short walk from the Clarendon Metro stop (orange line), just off Wilson Blvd. and right down the street from our Pho dinner at Nam Viet. Pundits and prognosticators often surmise that today's musicians and composers are living in an era of unparalleled opportunity. While it's safe to say that musicians' access to the marketplace has greatly improved, thanks to digital sales, social media, YouTube and the like, how have these changes impacted musicians' ability to generate revenue based on their creative work? Almost all analyses of the effects of these changes rest purely on assumptions that they have improved musicians' bottom lines. We hear often from record labels, music services, publishers, and entrepreneurs about the state of the music industry. Now it's time to hear how musicians and composers themselves are navigating these enormous changes. Join us for four focused conversations where we will hear directly from artists and managers from different corners of the music field. We'll learn about evolving artist-fan relationships, the business of behind-the-scenes working musicians such as songwriters and session musicians, and how business models work in niche genres such as jazz. In this conversation we’ll explore how artists are smartly leveraging their brand to enhance the artist-fan relationship: from managing their own ticketing, to running fan clubs, to building VIP experiences, to creating new opportunities for fans to engage. Heidy Vaquerano Entertainment Law Attorney, LaPolt Law, P.C. While the live concert remains a singular experience that can’t be duplicated or co-opted, the mundane act of buying a ticket is undergoing a revolution before our eyes. Artists are wading into areas previously occupied only by venues and promoters through venue buyouts and fan club ticketing schemes. Venues are experimenting with mobile ticketing and ticket add-ons. Promoters are responding to audience complaints about excessive surcharges and choosing alternatives to Ticketmaster. With audiences spending fewer dollars lately on entertainment, the stakeholders are all jockeying for a larger piece of the pie and even the secondary ticketing market is seeing its share of the spotlight’s glare. Come watch our panel engage in a fascinating debate about the future of live music ticketing. Cheap Trick guitarist and songwriter Rick Nielsen and manager Dave Frey will reflect on the band’s storied career, as well as the recent spate of stage collapses and how to avoid future tragedies. From 12:15 - 1:00, join SoundExchange in our Networking Space for a dessert bar and one of their two sponsored workshops: one for artists and labels (who receive royalties from SoundExchange) and another for webcasters and digital music services (who pay royalties to SoundExchange). Sweet! From 12:00 - 2:00 PM in our Networking Space, make a 15-minute speed date with one of our experts and get some one-on-one advice about licensing, touring, twitter, health insurance, accounting, marketing or legal issues. It all happens in our Networking Space. Sign up at the registration table for a consultation. Maria A. Pallante, Register of Copyrights and Director, U.S. Copyright Office gives a keynote address entitled "Copyright and the Independent Creator." With the advent of the digital music economy, online services have revolutionized the business of being an independent musician. Everything from music sales to fan communication to press kits to tour routing and merchandise production can be done with your laptop and an internet connection – but are these artist-focused, VC-funded services truly serving musicians' needs? Join us as our panel of musicians and artist managers kicks the tires on a group of emerging digital music services. These days, there are countless ways for creators to get their innovation on. DC's Bluebrain are a perfect example of how artists are using technology in fascinating ways. Last year's The National Mall and this fall's Listen to the Light are Bluebrain's location-aware albums that trigger sounds based upon where in The National Mall and Central Park, respectively, you and your smartphone are strolling. We'll be screening a short documentary on the making of Listen to the Light plus we'll have a conversation with Bluebrain and some special guests. Ever since music met the iPod, listening has been on the go. Now, with the arrival of smartphones, wireless broadband and app stores, it’s easier than ever to experience music away from your computer or stereo. The popularity of Pandora and the arrival of Spotify could signify big things for mobile music. But what about data caps instituted by dominant wireless carriers? Will service remain affordable if this marketplace becomes too concentrated? Who gets to play in this brave new world — musicians and music entrepreneurs or just big content companies? Can the mobile music space aid the growth of a legitimate digital music marketplace? Who are the innovators, and where do artists fit in? This conversation will examine current policies and practices while looking at the future for mobile music. In this conversation we'll bring together a pair of professional songwriters from different genres to discuss how the business of songwriting has changed, and whether the growth of some revenue streams – from synchs to digital sales – make a real difference in their ability to earn a living. Licensing for digital music has long been one of the most complex areas of the music business. From analog to digital, music’s twin copyrights often take a convoluted path to listeners, with various licensing arrangements for different uses, even in similar environments. With new music services popping up everyday, an already intricate framework becomes even more so. New technologies continue to test the limits on how music is accessed and how the money flows (and to whom). Yet some licenses — such as blanket licenses for public performance — are more straightforward than others. How are creators and rightsholders compensated in this system? Do technology companies benefit from the streamlined blanket license environment? Will technology lead to a re-conceptualization of how blanket licenses function in an ever-changing marketplace? What is the state of other licenses across various platforms? What can we learn from historic models as we chart a new course for music? Our panel of experts will consider these questions, with an emphasis on how all of this impacts musicians and songwriters. Join us for a cocktail party hosted by Gibson Guitar's Washington D.C. Showroom from 6:30 - 8:30 PM. Thanks to our generous host, we'll have an open bar, snacks, DJ Steven Swann of local DJ collective Fatback and a beautiful, unique space for this shindig. There's limited capacity at this venue, so head on over right after panels end to be sure you get in! Note: this will be an 18+ event. Many thanks to our generous food and beverage sponsors: Flying Dog, Pinkberry, popchips, Sprinkles and Tito's Handmade Vodka. What happens in Washington impacts the arts community in more fundamental ways than people often realize. Beyond direct public funding, a wide range of decisions impact both the structures of the music economy and more basic, day to day issues like health care, transportation, housing, and the role of arts in education. The federal government is seeking to spur and engage arts stakeholders, including musicians, in decisions about how neighborhoods and metro regions should grow and change. A panel of administration officials will discuss their work and its relevance to artists and music community. It’s interesting times in the world of digital music and social expression. Established sites like YouTube remain on the front lines of remix culture, employing novel technologies that may bring money to mash-ups. Services like Turntable.fm are changing the way we access, share and review our favorite songs. And LegitMix is delivering remixes in a clever way that promises to satisfy copyright law and help the sampled musician. But are these innovative licensing solutions too clever by half? Definitions regarding “interactive streams” and “public performances” may not be clear enough to cover the hybrid services popping up everywhere. Is our legal ground solid enough for tomorrow’s killer apps? Can permissions and clearances be more efficiently handled through technology? Can law keep pace with consumer behaviors? How will creators exercise their rights and get paid in this new environment? This panel will explore the legal and technological questions around digital sampling, innovation and compensation. In this conversation we'll examine how the genre is benefiting from, and reacting to, the ever present march of technology. With the economy continuing to sputter along and funding for the arts facing deep cuts, it's no surprise to hear that local creative communities are struggling. But is this the whole story? Some music scenes are taking things into their own hands and forging a bold new way forward. From creative partnerships between arts and business sectors to audacious efforts in social engagement, musicians and their supporters are making local matter in the 21st century. But improving your community takes more than commitment: it also takes resources. Who is in a position to help? How do you get them to pay attention? How far can you stretch DIY? What tools might make creative community building easier or more efficient? Will what works in one particular location be useful to other towns and cities? What role can music scenes play in American recovery? This panel will highlight the self-determination and self-sufficiency of a few vital local music scenes while providing examples of how your own creative community can thrive in a challenging time for culture. From 1:00 - 2:00 pm, get a practical primer on what you need to do to protect what you have, avoid train wrecks, and get everything that’s coming to you. Marcy and Paul will discuss forming a business entity, forming a publishing company, trademarks, copyrights, performing rights organizations and digital aggregators and will be available throughout the conference to answer your questions about all of these things. The digitization of content has impacted the entertainment industry in positive and negative ways. On one hand, technology makes it easier to identify works and their authorship — an important first step towards extracting value. Several organizations are currently attempting to aggregate this data into comprehensive databases. The collection of this data has the potential to facilitate licensing by providing identification and contact information for recording artists, songwriters, record companies and music publishers. Will the creation of these databases foster new growth in the music industry? Should there be a single master collection of information for recordings and songs? Is there a place for government action in this process and how can stakeholders work across national borders to realize a global solution? Join us for a lively discussion concerning metadata and the quest for an International Music Database. In this conversation we will look at how revenue streams for freelancers and session musicians have evolved over the years, from changes in the amount of in-studio session work, to the pay for shows on the road. co·da noun /ˈkōdə/ - the concluding passage of a piece or movement, typically forming an addition to the basic structure. These past two days have been about what tomorrow will hold, and the various tools, services and policies that can support a sustainable 21st century music ecosystem. We've touched on ticketing, licensing, remixing and community building. Artists, attorneys, entrepreneurs and coders have shared their vision. So where are we now? What seems most promising for musicians and policymakers as they tackle an uncertain and evolving marketplace? This concluding session will attempt to make (some) sense of it all. Join us for tunes and happy hour specials at the Eighteenth Street Lounge. Note this is a 21+ event.